Home > Cleaning Specials > Get 20% Off Pressure Washing and Window Cleaning! Spring is here, and it’s time to make your home or business sparkling clean! 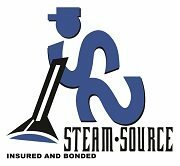 For a limited time, get 20% off pressure washing and window cleaning from our team here at Steam Source. Make Your Home or Business Sparkling Clean for Spring! Applies to jobs of a minimum $99 or more. One coupon per location, per day. We have used Steam Source for years, and they always do an amazing job. Mike and Gus are AWESOME! This offer won’t last long! Schedule your pressure washing or window cleaning appointment with us today.